Paxton Primary School is a state of art, 3FE school in the South London Borough of Lambeth, rated as Outstanding by Ofsted. 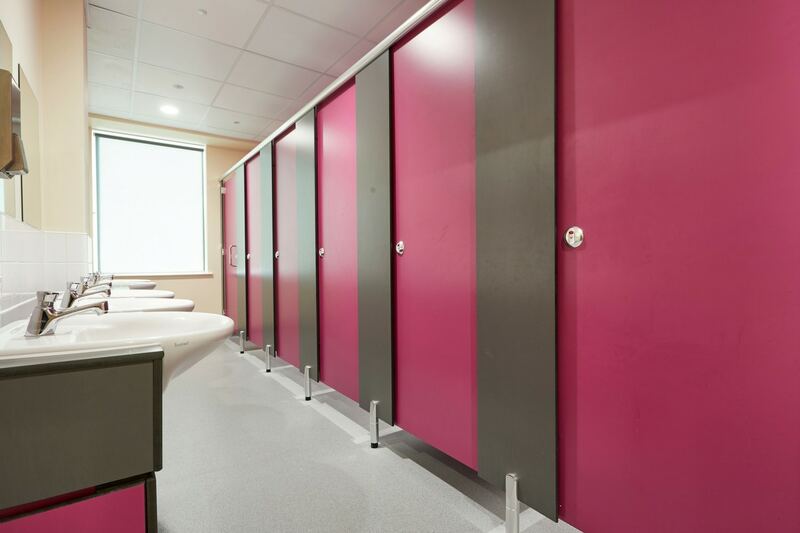 Working with the main contractor to a tight schedule, we supplied on time, and in full, our Challenger system for 28 washrooms spread over 3 floors. Challenger, Challenger Junior and Grafix cubicles, pre-framed ducts and vanities. 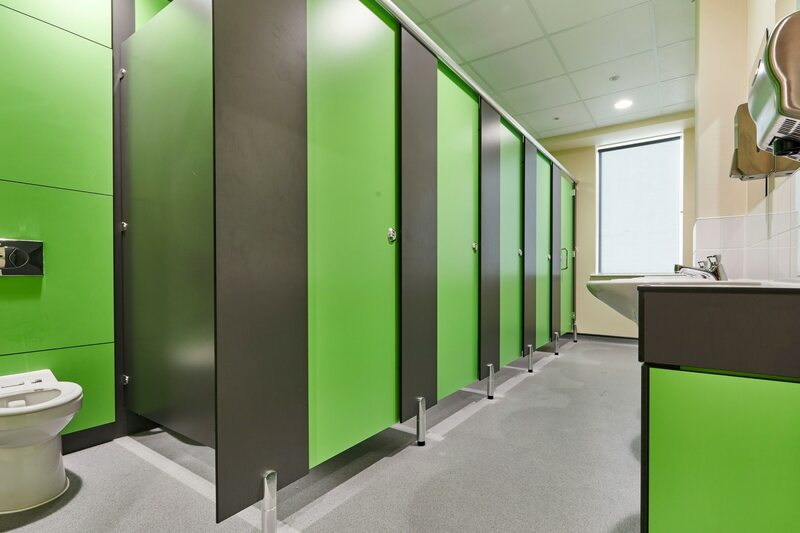 In order to meet the requirements of this state of art school in Lambeth, London, we supplied a variety of washrooms appropriate to the age of the children and of course the adults who would be using the washrooms. 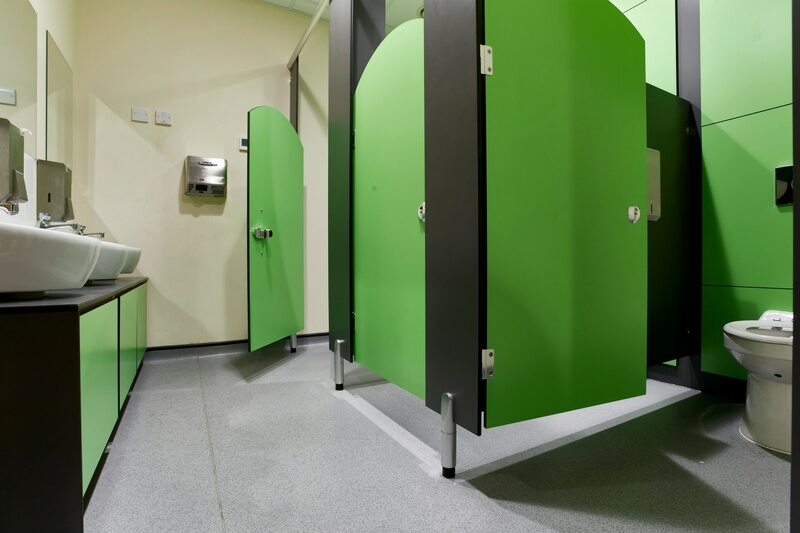 Our durable Challenger cubicles and Junior Challenger cubicles provide the ideal solution for high traffic washrooms such as schools. 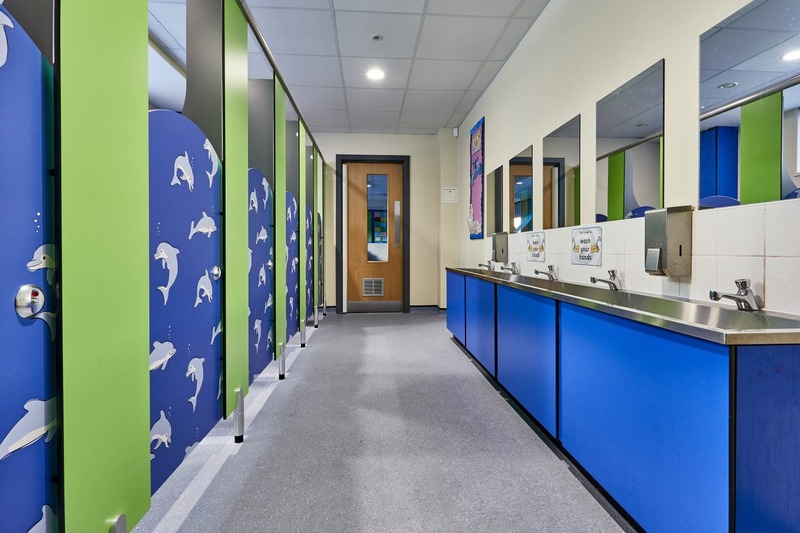 Our Grafix cubicles appealed to the children with the vibrant artwork adding a wow factor.